Holiday greetings from the RSG team! As we head into the Thanksgiving weekend, we are reminded of family, football and food. Followed, sometimes too closely, by shopping. While all retailers and restaurants get lots of sales in this time of year (some as much as half of their total volume occurs during the holiday season), we thought we would give a shout out to some of our favorite small businesses in advance of Small Business Saturday. 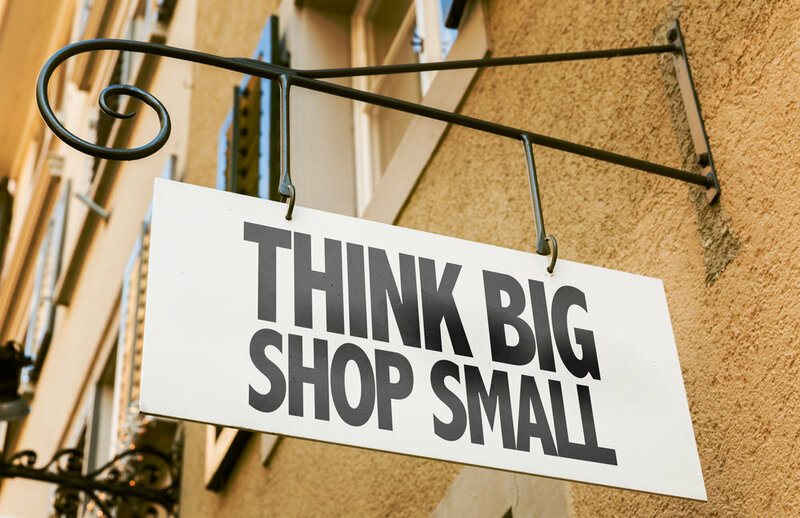 We encourage you to mention yours in the comments below and patronize small businesses. Jim Simon, Principal: I enjoy a bargain as much as anyone, and have found not only great deals but terrific service on luggage at Avion Luggage Sales & Repair, located at 2800 W. Warner in Santa Ana. It’s my go-to for luggage purchases over anything online. I also have to mention our former RSG’er Brandon Fender’s The Good Beer Company at 309 W. 4th Street in downtown Santa Ana, especially if you’re a fan of fruity and sour craft beers – you can see the entire operation right there as you taste in our former premises. Dima Galkin, Associate: I can’t go too long without getting a dose of shopping at the Last Bookstore at 453 S. Spring St in Downtown Los Angeles. There’s always a great find somewhere on the shelves. The live performances are entertaining. And I can geek out with the sales associates about favorite hard-boiled detective novelists. Mine is Raymond Chandler, but I won’t hold it against anyone who claims Dashiell Hammett. Alex Ostrowski, Research Assistant: As a Taco Tuesday fanatic, you can regularly find me feasting upon arepa tacos at La Colombiana or street tacos at La Siesta (their entire menus are great too!) . Both restaurants are located on El Camino Real in San Clemente and are family owned and operated. While I never thought possible, they may have successfully filled the void of my long time favorite spot in college, La Barca, a hidden gem located on Vermont Avenue in Los Angeles. Suzy Kim, Senior Associate: One of my favorite corners in Berkeley is on Cedar Street and San Pablo Avenue. I step into Bartavelle Cafe to order some coffee and a delicious scone or sandwich. While I’m waiting for my food, I step into Kermit Lynch Wine Merchant to pick up some wine. The owner spends half the year traveling around Italy and France to source wine (life goals). If the line is not too long, I’ll pick up a fresh loaf of Edible Schoolyard bread from Acme Bakery. I jokingly refer to the stop as my “holy trinity”: coffee, wine, and bread. Hitta Mosesman, Principal: Newport Beach has many boutique fitness classes as well as unique food options that range from vegan to rich and indulgent. My weekend would not be complete without a spin class at Newport Workout. The class is led by a former triathlete with a large, two decade-long following who inspires participants with great music and energy. After working up an appetite, a bowl or scramble at Vibe Organic Kitchen and coffee at Kean is a great way to recharge. Lido Bottle House right on the water in Newport Harbor is a great way to unwind with friends. Irlanda Martinez, Analyst: As the 2018 Most Brunches Attended record holder at RSG, chances are you will find me (and my dog) at Downtown Fullerton’s Rialto Café having brunch every Sunday. The history-meets-hipster café is family-owned, delivers in cuisine and hospitality, and is the epitome of a local gem. After brunch, we like to head over to my dog’s favorite store for a treat. The family-owned Anaheim Feed & Pet Supply in Anaheim offers a large variety of pet food and supplies at significantly lower prices than a common pet retail store. With this, I present to you, the perfect Millennial Sunday.